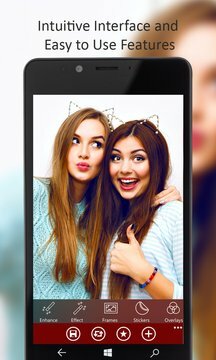 Indulge yourself in shooting the best in me selfies directly from the application and modify colors, add frames, effects and share them on social networks with a swipe of your finger. It’s very fast, elegant and seems like a magic. Easy to use features with a real-time photo filter options allowing you to see filter results before you save your pictures for best results. Remove any imperfections by applying virtual effects on your photos. 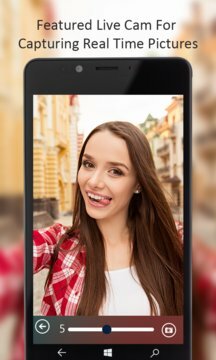 Design the way you like and see the instant results on your live cam where ever you go and make an everlasting impression of your selfies. New camera timer and drawing tools to create incredible images in few seconds. Decorate your photos in freestyle with your own captured shots.